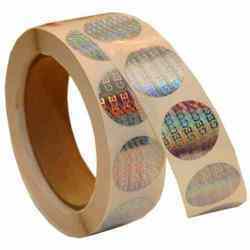 We are one of the noted organizations engaged in manufacturing of Holograms, Security Labels and Packaging Products. Our products are widely appreciated in various segments like Auto parts, Cosmetics, Pharmaceuticals and Publication, FMCG industry. In a short span of 9 years, we, Durga Holographics Pvt. Ltd., An ISO 14001:2004 certified company, established in 2004, have been able to mark our foothold in this domain by manufacturing, supplying, trading, exporting, distributing and retailing a wide array of quality products like Numbering Holograms, 2D & 3D Holograms, Holographic Tape, Paper Labels, Holographic White Packaging Bag, Laminates & Pouches and Security Seal Labels. In a short span of 9 years, we, Durga Holographics Pvt. Ltd., An ISO 14001:2004 certified company, established in 2004, have been able to mark our foothold in this domain by manufacturing, supplying, trading, exporting, distributing and retailing a wide array of quality products like Numbering Holograms, 2D & 3D Holograms, Holographic Tape, Paper Labels, Holographic White Packaging Bag, Laminates & Pouches and Security Seal Labels. 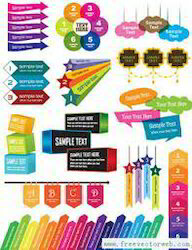 Apart from these, we also manufacture Promotional Holograms And Labels, Holograms, Neck Seal Packaging, Scratch Cards, Paper Labels, Shrink Sleeve & Labels, Security Seal Labels, Laminates & Pouches. In addition to this, we are also rendering Consultancy Services for Security, Packing, Point of Sale Material and Holographic Artwork. Our state-of-the-art infrastructure is a fine blend of International manufacturing techniques and ethical business activities. Owing to our manufacturing unit and quality testing unit, we are successfully meeting the requirements of varied segments. Our products are appreciated for features like superior quality and exemplary adhesive quality. We have been able to offer superior quality products according to the specifications of our clients owing to the technical expertise of our workforce. Their meticulous efforts has helped us to gain the trust of a large client base across the globe. We export our products all over Indian Subcontinent, East Asia and all over the world. Durga Holographics Pvt. Ltd. and its range of products are synonymous to high quality and standard. 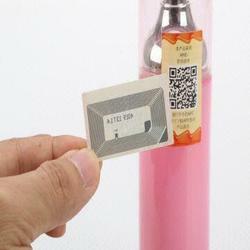 We deal in a wide range of Holograms and Security labels including 2D & 3D Holograms, Promotional Hologram, Holographic Tape, Security Hologram, Paper Labels and Holographic White Packaging Bag, Laminates & Pouches, Scratch Cards, Neck Seal Packaging, Security Seal Labels and Shrink Sleeve & Labels. The products are made from high quality raw materials and designed by our expert team. These holograms are preferred in many industries for brand identification, authentication of document or preventing any duplicacy. We offer our products in the standard as well as customized shapes, sizes, and specifications at very reasonable price range. We have a developed a contemporary infrastructure support with a purpose on reliability, security and scalability. This helps us to carry out our business operations in a systematic & precise manner. Our company is located in Gagan Vihar, Delhi where the operations are well managed by a professional team. 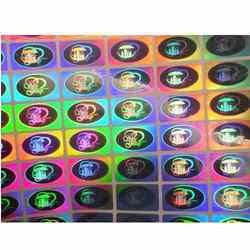 Our company manufactures complete range of holographic products, Security Labels & Packaging Product in accordance to International standards. Latest technology and advanced machines are used to offer innovative solutions to our clients.